A former top executive of a nonprofit group that provides counseling, job-placement and other services was sentenced Wednesday to six years in state prison and ordered to pay more than $10.5 million in restitution for embezzling and misappropriating millions of dollars in public funds. Sophia Esparza, the former CEO of Chicana Service Action Center, was taken into custody in a downtown Los Angeles courtroom shortly after being sentenced by Superior Court Judge Michael E. Pastor. The 65-year-old woman pleaded guilty Aug. 15 to five counts of misappropriating public funds, four counts of embezzlement, two counts of preparing false documentary evidence and one count of filing a false tax return. Prosecutors said Esparza operated the nonprofit with a bogus board of directors and used embezzled funds for items such as luxury apartments, sports cars, a yacht cruise and season tickets to the Los Angeles Dodgers and Los Angeles Clippers. 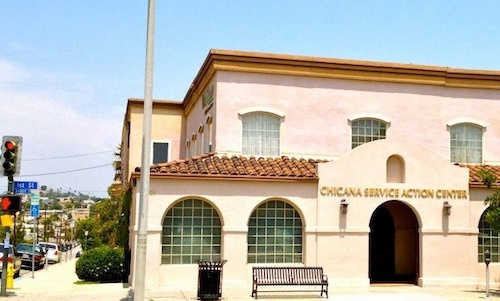 The Chicano Service Action Center for more than four decades offered job training and counseling to low-income women. The bulk of the restitution was ordered to go to two Los Angeles County agencies and one Los Angeles city agency, with just over $100,000 set to go to the state’s Franchise Tax Board. Co-defendant Thomas Baiz – a 62-year-old former vice president of corporate and government affairs for the nonprofit – was ordered to serve 500 hours of community service, five years on probation and to pay nearly $6 million in restitution as a result of his guilty plea to three counts of embezzlement, two counts of misappropriation of public funds and one count of conspiracy to misappropriate public funds. Baiz was given credit for 346 days he had already served in county jail, and the judge suspended a three-year state prison term that Baiz will not have to serve if he complies with the terms of probation. Michael Lorenzo Tompkins, a 59-year-old former employee who pleaded no contest to one count of embezzlement, was sentenced to three years in state prison and ordered to pay $1.45 million in restitution to the city of Los Angeles. The organization’s former chief financial officer, Silvia Gutierrez, 71, is set to be sentenced Dec. 15 in connection with her plea to six counts of embezzlement, four counts of misappropriation of public funds and two counts of preparing false documentary evidence. She is expected to be ordered to spend a year on house arrest, five years probation and a suspended four-year state prison term, along with an order to pay restitution. All three former executives were charged in 2015, with Tompkins being charged earlier this year. As EGP previously reported, during the 1970s, the Chicana Service Action Center empowered women who former Supervisor Gloria Molina in 2013 said “had not yet found our voice.” Molina at the time was trying to convince her fellow supervisors to continue contracting with the nonprofit after it was defunded over billing irregularities. All monies owed to the county at the time were repaid, according to Molina. Meanwhile, the City of Los Angeles continued to contract with the center for job placement and training services. In January of this year, Los Angeles City Controller Ron Galperin issued a report strongly criticizing Economic and Workforce Development Department officials for failing to report questionable activities involving the nonprofit and for failing to provide adequate oversight going as far back as 2010. 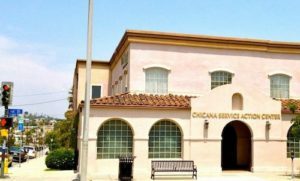 The city, which had contracted with the Chicana Service Action Center for over 25 years, awarded the center a new contract in 2014 to operate its WorkSource Center in Boyle Heights, one of 17 such centers in the city. The case stemmed from an investigation by the Los Angeles County District Attorney’s Office’s Bureau of Investigation, with assistance from the Office of County Investigations, a division of the Department of the Auditor-Controller’s Office, the Inspector General’s Office for the U.S. Department of Labor and the state’s Franchise Tax Board, according to the District Attorney/s Office. Update/Correction 12-09-17: This post has been updated to remove a photo that was incorrectly identified as Sophia Esparza. The photo was actually of former LA County Federation head Maria Elena Durazo who has no connection to the charges against former Chicana Service Action Center employees. EGP apologizes for the error.